Neill James’ book Dust on my Heart is many visitors’ first introduction to the extensive English-language literature related to Lake Chapala. 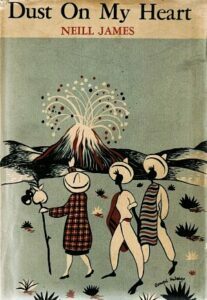 In the book, the self-styled “Petticoat Vagabond” tells of her adventures in Mexico and of two terrible accidents she suffered, the first on Popocatepetl Volcano and the second at Paricutín Volcano. After two lengthy stays in hospital, James’ recuperation eventually brought her, in 1943, to the small village of Ajijic, which would be her home for the remainder of her long life. The final two chapters of Dust on my Heart describe her first impressions of Ajijic and of how she learned to appreciate the idiosyncrasies of pueblo life. As with several other noteworthy Lake Chapala residents, separating fact from fiction in trying to sort out James’ story is tricky, and made more complex by hagiographic portrayals that simply repeat identical misinformation with no attempt to check sources or provide independent corroboration for claims made. For example, we are led to believe that James was born on a cotton plantation in Grenada, Mississippi, a woman of means who graduated from the University of Chicago, met Amelia Earhart, was visited in Ajijic by D. H. Lawrence, Ernest Hemingway and George Bernard Shaw, and pioneered the looms industry in Ajijic, before founding the Lake Chapala Society. Unfortunately, not a single one of these claims is true. James was born in Gore Springs, Mississippi. While Gore Springs is near Grenada, James was not born on any plantation and her family was far from wealthy. She never attended the University of Chicago and almost certainly never met Amelia Earhart. The claims about Lawrence, Hemingway and Shaw are especially ludicrous. D. H. Lawrence was long dead by the time James first visited Mexico. Neither Hemingway (whom James may conceivably have met in 1941 in Hong Kong) nor Shaw ever visited Ajijic. James did not pioneer the looms industry in Ajijic and was never a member of the Lake Chapala Society prior to being accorded Honorary Membership a few years before she died! After studying stenography at the Industrial Institute and College for the Education of White Girls (later Mississippi State College for Women) in 1918 James became a secretary at the War Department in Washington, D.C. Over the next decade, she traveled widely: from Hawaii to Japan, China, Korea, India, Germany, France, Costa Rica and New Zealand. In 1931, she settled on Hawaii to work at the Institute of Pacific Relations. Three years later, she left to travel again in Asia, returning to the U.S. via the Trans-Siberian railroad and Europe. She then began travel writing and joined the stable of writers managed by Maxwell Perkins (who edited Ernest Hemingway, F. Scott Fitzgerald and Erskine Caldwell, among others) at leading New York publishers Charles Scribner’s Sons. Prior to visiting Mexico, James had published three travel books: Petticoat Vagabond: Up and Down the World, (1937); Petticoat Vagabond: Among the Nomads (1939) and Petticoat Vagabond in Ainu Land: Up and Down Eastern Asia (1942). Her early travels in Mexico in 1942, including a few weeks spent with the indigenous Otomi people, are entertainingly told, in rich, keenly-observed detail, in Dust on my Heart. During her first few months, James traveled to many very different parts of the country, from the capital city to impoverished rural mountain villages, from Acapulco to Chiapas. It was only after two serious accidents, the first on Popocatepetl Volcano, the 17,899-foot peak near Mexico City, and the second on the slopes of the brand-new Paricutin Volcano in Michoacán, both recounted in gory detail in her book, and both requiring months in a Mexico City hospital, that James decided to recuperate at Lake Chapala. It was August 1943 when James first arrived at Ajijic. She eventually built her own house there. In order to complete the manuscript of her next Petticoat Vagabond book, James penned a couple of chapters about the village. This was the last book she ever wrote. As suddenly as she had started writing travel books, she stopped. James had no independent wealth and needed to generate some income for herself. She began to buy plain white cotton blouses and pay local women piecemeal rates to embroider them. Many of the designs were created by American artist Sylvia Fein who was living in Ajijic at the time. 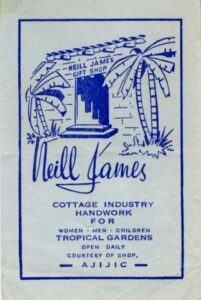 From the late 1940s on, James started three new tourist-related ventures – renting and flipping village homes; clothing (including weaving and silk production); and running her own tourist store – all of which remained active until well into the 1970s. Over the years, she also tried all manner of other potentially lucrative but ultimately short-lived ventures, ranging from keeping bees and selling honey to looking for buried treasure. The short-term promise of her “revival” of embroidered blouses had fizzled out when marketing problems reduced its appeal. Meantime, Helen Goodridge, with her husband, Mort Carl, had started a commercial looms business in 1950 which was attracting attention. While James could not compete directly with their venture, she could, and did, begin to teach local women how to use smaller hand looms to weave small cotton and wool items such as women’s blouses and scarves. Whereas Goodridge employed only men as weavers (very much the tradition in this part of Mexico), James’s workforce was entirely female, in line with indigenous practice in southern Mexico. James also started a silk industry in Ajijic. She brought in hundreds of white mulberry trees, from Uruapan in Michoacán, and planted as many as she could in her own garden, offering others to families around the village. James also bought silkworm eggs and before long, Ajijic had a thriving silk production industry. James employed local women to weave the delicate silk thread into fine silk cloth. Precisely when James introduced the silk industry into Ajijic is unclear, though it was certainly in full flow by 1962. The third strand of her business activity was to open a small store out of her own home, selling items made in Ajijic as well as handicrafts from elsewhere. The store closed in 1974, when James announced her retirement. James is best remembered today for her many positive contributions to the health and education of her adopted community. Having helped educate the children of her domestic helpers from the very beginning, James broadened her scope in about 1954 to open the area’s first public library (biblioteca pública), principally aimed at serving the needs of the local children. The first library in Ajijic was a room, donated for the purpose, on Ocampo near Serna’s grocery store. James persuaded the municipio to part with funds for books and arranged for Angelita Aldana Padilla to oversee its activities. As their reward for reading and studying, students were offered the incentive of free art supplies and classes. This humble beginning led, after many twists and turns, to the justly-praised Children’s Art Program, now run by the Lake Chapala Society, that has helped nurture the talents of so many fine local artists. At some point, a second library was opened, with its own supervisor, in a building James owned near Seis Esquinas, to help children living in the west end of the village. After the supervisor left, the running of La Colmena (The Beehive), as it was known, was turned over to some well-meaning teenagers. When the library was badly vandalized, the remaining books and supplies were moved to the original library, which James later moved to a building on her own property at Quinta Tzintzuntzan. In 1977, James donated a property at Seis Esquinas (Ocampo #90) to be used as the village’s first Health Center (Centro de Salud). 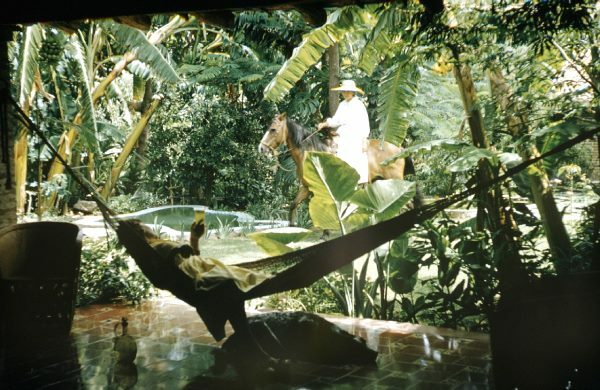 Neill James (hammock) and Zara (on horseback) in the gardens of Quinta Tzintzuntzan. Photo by Leonard McCombe for Life, 1957. 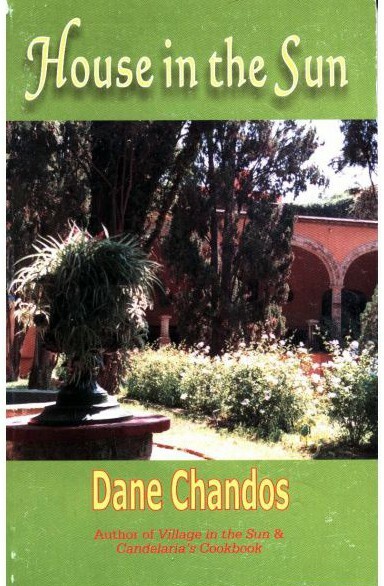 After her retirement in 1974, the wonderful gardens of Quinta Tzintzuntzan were no longer normally open to the public. However, in 1977, James agreed that the grounds could be open every Sunday afternoon as an art garden (jardín del arte) for a new artists’ group, the Young Painters of Ajijic (Jovenes Pintores de Ajijic). 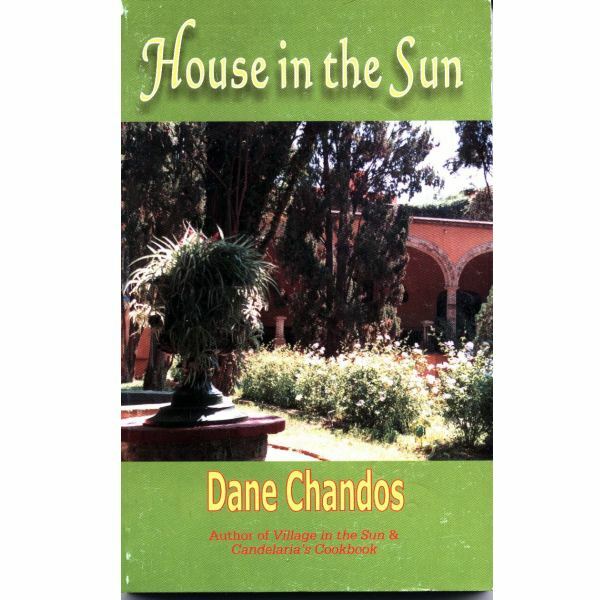 In 1983, James offered to let the Lake Chapala Society use part of her Quinta Tzintzuntzan property rent-free for five years, provided it took over running the Ajijic children’s library located there. The Lake Chapala Society subsequently (1990) acquired legal title to the property in exchange for looking after Neill James in her final years. James died on Saturday 8 October 1994, only three months shy of her 100th birthday. Her ashes were interred at the base of a favorite tree in her beloved garden. Given her early career as a travel writer, it is only fitting that the Mississippi University for Women now awards at least five Neill James Memorial Scholarships each year (worth up to $4000 each) to Creative Writing students. First offered in 2007, these scholarships are funded with the proceeds from a charitable trust established by her sister Jane. It was James’ generosity that enabled the Lake Chapala Society to move from Chapala to Ajijic at a time when it was struggling and desperately needed new premises. Given her amazing accomplishments and legacy she left Lake Chapala, there is no possible need to embellish the story of Neill James, one of Lakeside’s most truly colorful, memorable and enterprising characters of all time. James was not the creator of the saying, “When once the dust of Mexico has settled upon your heart, you cannot then find peace in any other land.” What she actually wrote (on the first page of Dust on My Heart) was “There is a saying, “When once the dust of Mexico has settled upon your heart, you cannot then find peace in any other land.”” James was merely quoting an old saying; it was not her creation. An earlier version of the saying appears on the first page of Your Mexican Holiday: A Modern Guide, Anita Brenner’s book published in 1932. I am greatly indebted to Stephen Preston Banks, author of Kokio (a fictional biography of James), and to Michael Eager and Judy King for sharing with me their insights into Neill James’ life and contributions to Ajijic. Anon. 1945. “Neill James in Mexico.” Modern Mexico (New York: Mexican Chamber of Commerce of the United States), Vol. 18 #5 (October 1945), 23, 28. Stephen Preston Banks. 2016. Kokio: A novel based on the life of Neill James. Valley, Washington: Tellectual Press. Guadalajara Reporter, 17 September 1983, 18. Neill James. 1945. “I Live in Ajijic.” Modern Mexico (New York: Mexican Chamber of Commerce of the United States), Vol. 18 #5 (October 1945), 23-28. [Reprinted in El Ojo de Lago. Vol 17, #7 (March 1999]. Neill James. 1946. Dust on My Heart. New York: Charles Scribner’s Sons. Leonard McCombe (photos). “Yanks Who Don’t Go Home. Expatriates Settle Down to Live and Loaf in Mexico.” Life Magazine, 23 December 1957, 159-164. Did Somerset Maugham ever visit Lake Chapala? Did the great British author W. Somerset Maugham ever visit Lake Chapala? A number of writers and websites, extolling the literary connections of Ajijic, have claimed that W. Somerset Maugham (1874-1965) has connections to the village. Some of these writers add that he lived in Ajijic for several months in the 1930s where he supposedly completed his novel, The Razor’s Edge (1944). 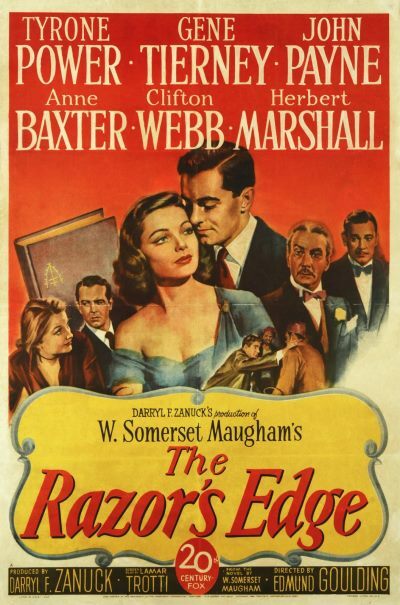 The Razor’s Edge is the story of Larry Darrell, an American pilot psychologically damaged by the First World War who seeks some meaning for his life. It was turned into a screenplay which was nominated for four Academy Awards in 1946, including Best Picture, with Anne Baxter winning Best Actress in a Supporting Role. While I have been unable to ascertain when or how the myth about Maugham at Lake Chapala began, I am now completely convinced that he never ever visited the area. The closest he ever came was when he was in Mexico City in 1924. It is possible that the idea of Maugham being in Ajijic originated from the fact that while in Mexico City he did actually meet (albeit briefly) D. H. Lawrence, who does have a close association with Lake Chapala. However, during the time Lawrence was living in Chapala (from May to July 1923), Maugham was traveling in Burma (Myanmar), Siam (Thailand) and Indonesia, a trip that lasted from October 1922 until July 1923. On the occasion when the two men met in Mexico, on 5 November 1924, it was at an uncomfortable lunch at the home of archaeologist Zelia Nuttall in Mexico City. It was during Maugham’s one and only trip to Mexico. Lawrence later used this lunch meeting as the basis for his description of the memorable tea party hosted by “Mrs Norris” in Chapter 2 of The Plumed Serpent. For his part, Maugham later based his character sketch of the dying poet “Francesco” in A Writer’s Notebook on a passage by Frieda Lawrence about her husband (“Lorenzo” to his friends) in her autobiography. Maugham’s only other connection to Mexico is a later short story, set in Europe, entitled “The Hairless Mexican”, the original version of which appeared in 1928. Shortly after their brief meeting at Zelia Nuttall’s home, Lawrence continued on to Oaxaca where he completed the final draft of The Plumed Serpent, while Maugham left Mexico City for the Yucatán Peninsula, from where he and his secretary-companion sailed to Havana, Cuba. Maugham never returned to Mexico but found his inspiration elsewhere. Despite Maugham’s lack of empathy for Mexico, his novels and plays were popular in the country and several of his plays were performed at the Degollado theater in Guadalajara during the 1930s. Unlike many other great writers and artists over the years, Somerset Maugham never did visit Lake Chapala. Some would say “his loss”, given that the area attracted and nurtured so many famous names and such a range of talents over the years. Even without staking any claim to Maugham, Lake Chapala residents can still justifiably be proud of the area’s rich literary and artistic heritage. Robert Calder. 1989. Willie, the life of W. Somerset Maugham. London: Heinemann. David Ellis. 1998. D.H. Lawrence: Dying Game 1922-1930: The Cambridge Biography of D. H. Lawrence, p 205. David Lambourne. 1975. “A kind of Left-Wing Direction”, an interview with Christopher Isherwood in Poetry Nation No. 4, 1975. Manchester: C.B. Cox & Michael Schmidt. 152pp. W. Somerset Maugham. Collected Short Stories, Volume 3. W. Somerset Maugham. 1938. The Summing up. London: Heinemann. Jeffrey Meyers. 2004. Somerset Maugham, a life. Vintage. Harry T. Moore (ed). 1962. The Collected Letters of D. H. Lawrence (two volumes). Heinemann. Illustration by Regina and Haig Shekerjian from A Book of Christmas Carols. Regina Tor (deCormier) Shekerjian and her husband, photographer Haig Shekerjian, were frequent visitors to Ajijic from the early 1950s to the 1980s. 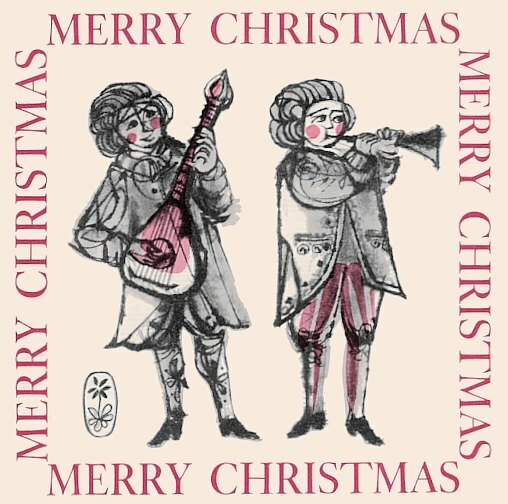 In addition to many other works, they co-wrote A Book of Christmas Carols (1963) and illustrated Nancy Willard’s book The merry history of a Christmas pie: with a delicious description of a Christmas soup (1974). American author Garland Franklin Clifton lived in the Chapala area in the 1960s. He wrote Wooden Leg John. Satire on Americans living in Mexico, a series of 20 letters dated from Christmas Day 1967 to Christmas Day 1968. Both Eunice (Hunt) Huf and Peter Huf, who met and married in Ajijic in the 1960s, were regular exhibitors for many years at Munich’s Schwabing Christmas Market. In 1994, Peter Huf founded the market’s Art Tent, and oversaw its operation until 2014. The work of several Lakeside artists was included in a December 1968 exhibition – the Collective Christmas Exhibition – at Galeria 1728 (Hidalgo #1728) in Guadalajara. These artists included Gustel Foust, Peter Huf, Eunice (Hunt) Huf and José María Servín and Guillermo Chávez Vega. Architect George Heneghan and his wife Molly Heneghan, a graphic designer, first visited Ajijic in 1970 to spend Christmas with Molly’s parents. They liked what they saw, stayed for several years and George designed the Danza del Sol hotel in the village. Charles Pollock was born in Denver, Colorado, on Christmas Day 1902. He painted for a year in Ajijic on the shores of Lake Chapala in 1955-56, producing his Chapala Series, exhibited in New York in 2007. Charles’s younger brother Jackson Pollock became an icon of the American abstract art movement in the late 1940s and early 1950s. Frieda Hauswirth Das (1886-1974) painted in Ajijic in the mid-1940s and spent Christmas 1945 in Monterrey, Mexico. Anthropologist George Carpenter Barker is noteworthy for his editing and translation of a copy of a manuscript found in Chapala in 1948 after a performance of a nativity play on Christmas morning in the village churchyard. The manuscript was apparently committed to paper, from older oral sources, by Aristeo Flores of El Salto, Jalisco, around 1914. German-born photographer Hugo Brehme, many of whose superb black-and-white postcard views are hauntingly beautiful, is credited with having introduced the first photographic Christmas cards into Mexico. Toni Beatty. Christmas Cheer, Mesquite, NM. Print on metal. Another photographer Toni Beatty found creative freedom while living in Ajijic in 1976. 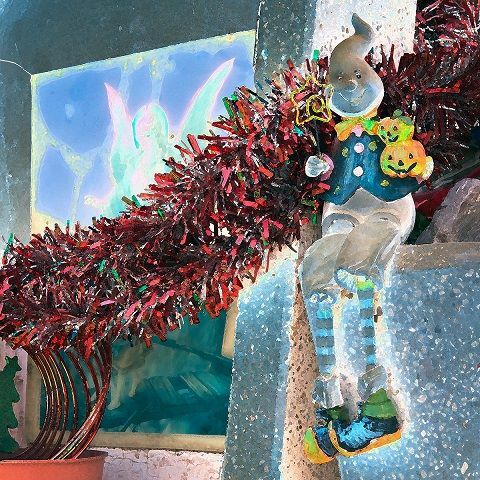 The image above (reproduced with her kind permission) is an example of her more recent, extraordinary, work involving digitally-enhanced photographs printed onto metal to emphasize their vivid colors and luminescence. Dudley Kuzell, husband of Betty Kuzell, was a baritone in the Ken Lane Singers and The Guardsmen quartet. The Kuzells lived at Lake Chapala for many years, from the early 1950s. The Ken Lane Singers accompanied Frank Sinatra on his 1945 recording of America the Beautiful; Silent Night, Holy Night; The Moon was Yellow; and I only Have Eyes for You, and on his 1947 recording that included It Came Upon the Midnight Clear; O little Town of Bethlehem; and the iconic White Christmas. John Maybra Kilpatrick who painted a WPA mural in Chicago in 1947, retired to Ajijic with his wife Lucy in 1964 and lived there until his death in 1972. Kilpatrick had been a commercial artist for the H. D. Catty Corporation of Huntly, Illinois. In 1952, the corporation copyrighted colored Christmas wrapping paper designed by Kilpatrick, entitled “Merry Christmas (Snow scene with 3 figures in front of houses)”. Novelist, playwright and travel writer David Dodge settled in Ajijic with his wife Elva in 1966. Early in his career, Dodge co-wrote (with Loyall McLaren) Christmas Eve at the Mermaid, which was first performed as the Bohemian Club’s Christmas play of 1940. Award-winning novelist Glendon Swarthout, whose short story entitled “Ixion”, set at Lake Chapala, was later turned into a screenplay by his son Miles Swarthout as Convictions of the Heart, spent six months in Ajijic with his wife and son in 1951. Among his many successful novels was A Christmas Gift (also known as The Melodeon), published in 1977. Guadalajara poet Idella Purnell frequently visited Lake Chapala, where her dentist father owned a small home, in the 1920s and 1930s. 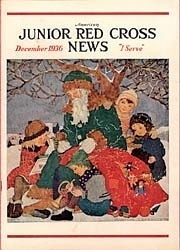 Her short story “The Idols Of San Juan Cosala“, which we used as our Christmas post last year, was first published in the December 1936 issue of American Junior Red Cross News and reprinted in 2001 in El Ojo del Lago. Note: This is a revised version of a post first published in December 2016. Canada celebrates its 150th birthday this year. 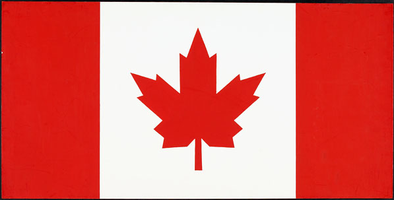 In honor of Canada Day, here is a list of those Canadian artists and authors who have connections to Lake Chapala and who have already been profiled on this blog. Enjoy! Henry Sandham (1842-1910), a well-known Canadian illustrator of the time, illustrated Charles Embree‘s historical novel, A Dream of a Throne, the Story of a Mexican Revolt (1900), the earliest English-language novel set at Lake Chapala. Embree, who published several novels and numerous short stories, was a genuine Mexicophile if ever there was one, but died in his early thirties. Canadian artist Clarence Ainslie Loomis painted Ajijic in the early 1990s. I would love to learn more about this elusive character whose paintings are very distinctive. Loomis was following in the footsteps, so to speak, of Canadian artist Eunice Hunt and her husband Paul Huf who spent many years working in Ajijic in the 1960s and 1970s. The couple married in Ajijic and their two sons were both born in Mexico. The family subsequently moved to Paul’s native Germany to continue their artistic careers. In the 1950s, a young Canadian woman, Dorothy Whelan, became the partner of artist and photographer Ernest Alexander (1921-1974) who ran the Scorpion Club in Ajijic. “Alex” led an extraordinary life but things spiraled out of control after the couple left Ajijic and moved to San Francisco. Swedish-American visual artist Carlo Wahlbeck (born in 1933) studied at the Winnipeg School of Art in Canada and lived in Chapala for two or three years in the mid-1970s. Multi-talented Mexican guitarist and artist Gustavo Sendis (1941-1989) lived many years in Ajijic and had an exhibition on Vancouver Island at Malaspina College (now Vancouver Island University) in Nanaimo, B.C., in July 1980. If anyone knows any details of this exhibit, then please get in touch! Toronto muralist and painter John Russell Richmond (1926-2013) lived and painted in Ajijic for several years in the 1990s. In Ajijic, he became known (and signed his work) as Juan Compo. American artist Gerry Pierce (1900-1969), who painted several watercolors in Ajijic in the mid-1940s, began his art career in Nova Scotia, Canada, in the late 1920s. Canadian historian and non-fiction writer Ross Parmenter (1912-1999) only ever spent a few days at Lake Chapala, in 1946, but has left us detailed descriptions of the local villages and of what life was like at the time. The enigmatic Maxwell Desmond Poyntz, who was born in British Columbia on 4 January 1918 and died in Canada, at the age of 81, on 29 November 1999, is known to have visited Jocotepec while working on a “proposed trilogy”. It is unclear if he ever finished this magnum opus; there is no record of its publication. Former CBC war correspondent and author Captain William (“Bill”) Strange (1902-1983) and his wife Jean Strange, one of Canada’s earliest female architects, lived in Chapala for decades and, in the 1960s, produced several radio documentaries about Mexico. The famous Canadian playwright and novelist George Ryga (1932-1987) had a holiday home in San Antonio Tlayacapan for many years in the 1970s and 1980s and frequently visited and wrote while staying there. Several literary friends and relatives of Ryga also visited or used his holiday home. They include Ryga’s daughter Tanya (a drama teacher) and her husband Larry Reece, a musician, artist and drama professor; Brian Paisley, and the multi-talented Ken Smedley and his wife, the actress, artist and model, Dorian Smedley-Kohl. Ken and Dorian Smedley were instrumental in mounting the first (and only) Ajijic Fringe Theatre – “El Fringe” – in 1988. Canada was a safe haven for Scottish Beat novelist Alexander Trocchi (1925-1984), who worked on his controversial novel Cain’s Book (1960) in Ajijic in the late 1950s. The group of friends that helped smuggle Trocchi into Canada to escape prosecution in the U.S. included American novelist Norman Mailer (who first visited Ajijic in the late-1940s). American Buddhist author Pema Chödrön, known at the time as Deirdre Blomfield-Brown, lived with her then husband, the poet and writer Jim Levy, for about a year in Ajijic from mid-1968 until May 1969. Chödrön moved to Canada in 1984 to establish Gampo Abbey in Nova Scotia, Canada. She became the Abbey’s director in 1986 and still holds that position today. 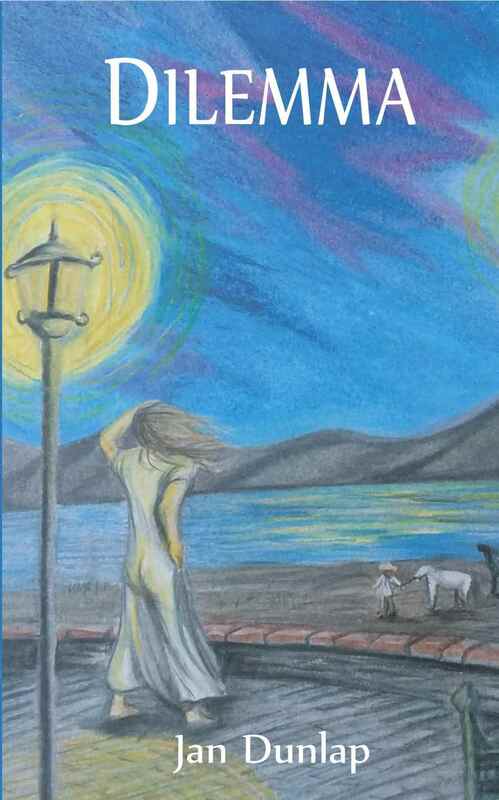 Additional profiles of Canadian artists and authors associated with Lake Chapala are added periodically. This post was last updated on 18 September 2018. 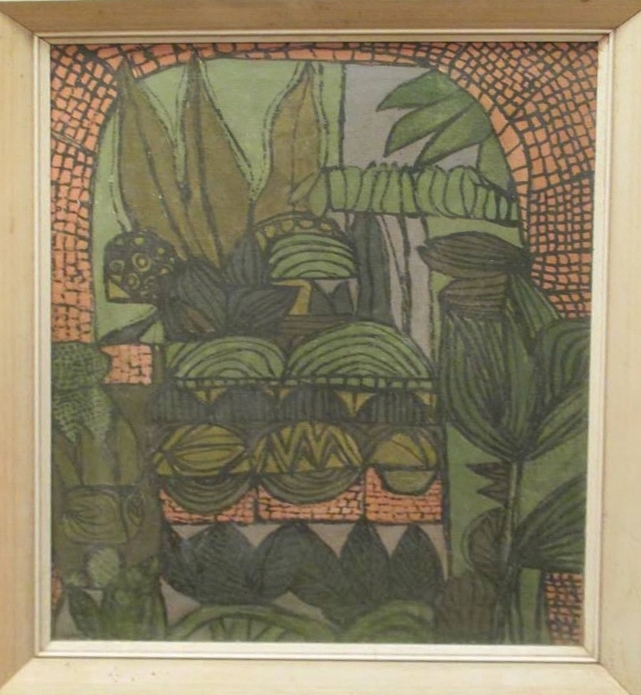 Help wanted: Does anyone know the whereabouts of this Sylvia Fein painting? Sylvia Fein, one of America’s foremost surrealist painters, lived and worked in Ajijic from 1943 to 1946. She would love to learn the present whereabouts of one of her favorite paintings from that time. Sylvia Fein: Three Ladies. ca 1945. 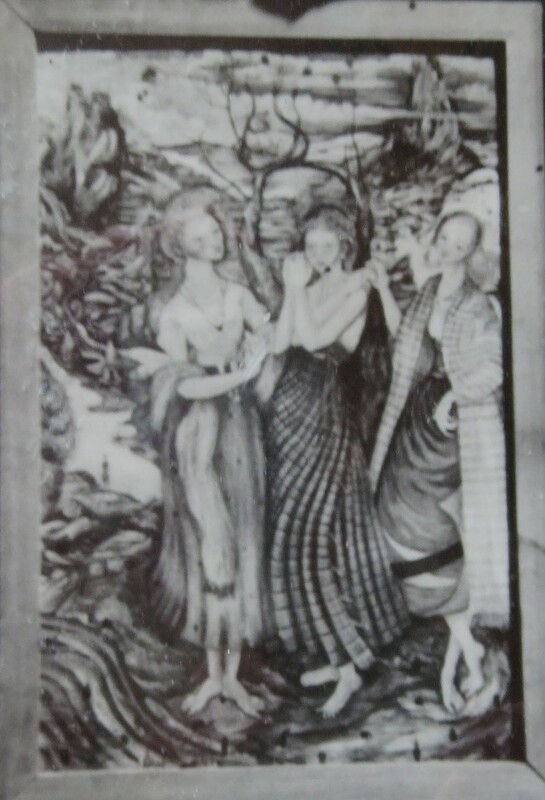 Painted in Ajijic in about 1945, the painting shows three ladies chasing idols (see image). The model for all three ladies was the daughter of one of Fein’s close friends in the village. Fein lost touch with the painting years ago, but has always wondered what became of it. It is probable that the painting was included in her first solo show in 1946, at Perls Galleries in New York, and it may have been sold at that time. If anyone has any knowledge of where this painting is now, Fein would love to know! Please contact us! 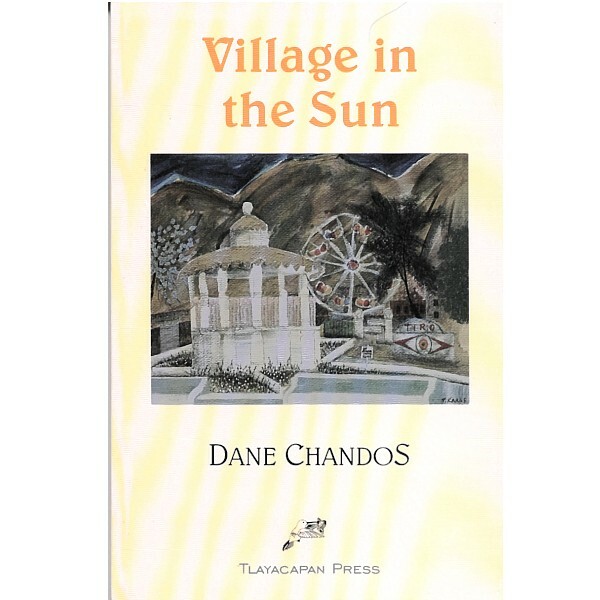 This is the classic account of how an expatriate Englishman Dane Chandos (the pen name for a two-man writing team) ran an hotel in a Lake Chapala village fifty years ago – “a magical place where anything can happen–and frequently does!”. 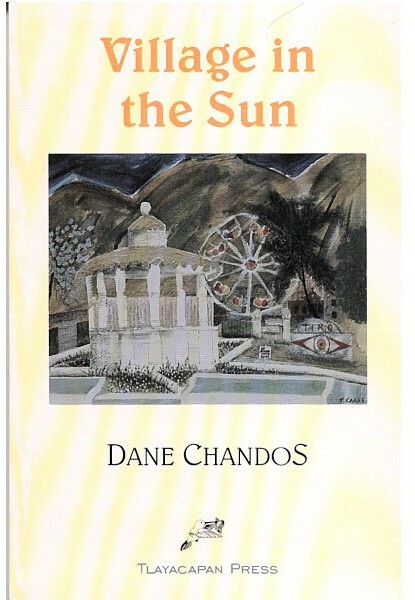 House In The Sun has more descriptive details about Mexico than the previous book by Dane Chandos – Village In The Sun – as the author occasionally takes his guests on sightseeing trips including a pilgrimage to the Virgin of Zapopan, a canoa trip around the lake, and a drive to Uruapan to see the still-erupting volcano at Paricutin.